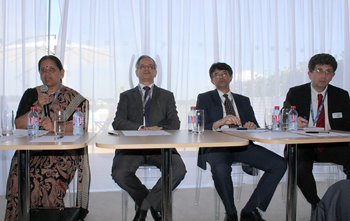 FICCI and GIFAS organised “France Makes With India — Session on Forging Alliances in Defence and Aerospace” at the Paris Air Show with the support of Embassy of India, Paris. The Inaugural Session was addressed by Rajiv Nayan Choubey, Secretary, Ministry of Civil Aviation, India. He highlighted the huge opportunity that India offers in the civil aviation sector. 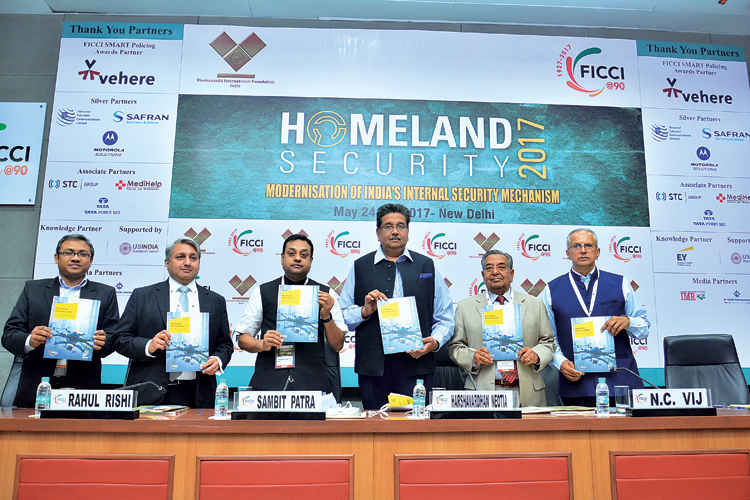 He further shared that India is the third largest domestic market and the fastest growing market in terms of passengers. 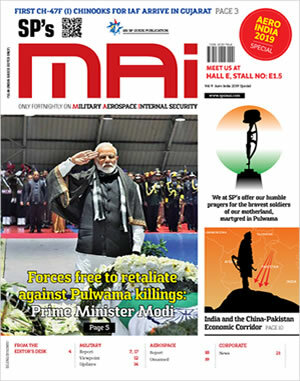 He highlighted the initiatives of his ministry of converting 400 unused airstrips built during World War II to usable airports thus promoting regional connectivity. He further emphasised that to facilitate passenger traffic at these remote sites Government of India is assisting by keeping low air fares through viability gap funding. Surina Rajan, Additional Secretary (DP), Department of Defence Production, Ministry of Defence, India in her address shared the policy reforms in the recent past by the Department of Defence Production in providing a level playing field to the Private Sector in terms of taxation and exchange rate variation. She highlighted the details of recently announced Strategic Partnership (SP) Model and urged the French OEMs to take the opportunity of participating in the four identified sectors currently on offer. Manish Prabhat, Deputy Chief of Mission, Embassy of India, France elucidated the historical relationship between India and France in strategic areas like space, defence and civil nuclear. He was very optimistic of deeper engagement of B2B interactions in the strategic sectors thereby taking this relationship to higher levels. In his address General De Garidel, Director Asia Pacific, Ministry of Armies, DGA, France highlighted the current engagement of French majors like DCNS with the MDL and the purchase of Rafale Aircrafts by the Indian Air Force as major successes in this area. This was followed by a Roundtable Industry Session addressed by S.P. Shukla, Group President, Aerospace & Defence, Mahindra Group and Co-Chairman, FICCI Defence Committee; Pierre de Bausset, President and Managing Director, Airbus India; Richard Lavaud, Director for India, Dassault Aviation; K. Soundhar Rajhan, President — Machine Tool, Foundry Divisions & Advanced Technology Centre, Lakshmi Machine Works Ltd. and Udit Jalan, Executive Director, Nucon Aerospace Pvt Ltd. The speakers emphasised on the synergies and nurturing the ecosystem for the integration of SMES in the global supply chain of OEMs. Without any facilitating ecosystem, no major system integrator will succeed.